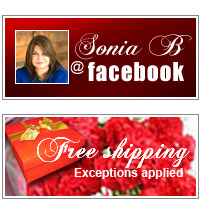 SoniaBCreations.com offers the finest quality pieces at an exceptional value. 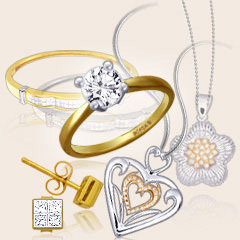 We carry a wide array of pieces for every occasion. Our goal is to make your shopping experience both pleasant and convenient. 14K WHITE GOLD RING.0.2840CT OF DIAMONDS AND 0.9120CT OF BLUE SAPPHIRES. 18K WHITE & ROSE GOLD EARRINGS,1.0800CT DIAMONDS. 14K WG or YG 2.08ct Diamond Hoop Earrings. Sterling Silver / 14K Gold Diamond Concave Ring.Price includes 30% discount. Sterling Silver / 14K Gold 6.75" Amethyst & Diamond Flower BraceletPrice includes 30% discount. 14ky yellow gold, pearl and diamonds ring. 14K Tri-Color Gold Multi-Zircon & Diamond Ring,2.1850 ct of diamonds.